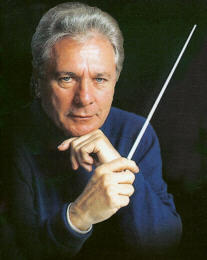 Composer Maurice Jarre will almost certainly be remembered for his more epic compositions, most notably David Lean’s Lawrence of Arabia (1962), Dr. Zhivago (1965) and A Passage to India (1984), but two eminently creepy scores stick in my mind the most. Firstly, Georges Franju’s Eyes Without a Face (1959), where the sinisterly jaunty, fairground-like main theme underscores the carnival-of-the-grotesque air that permeates one side of the action; this is counterpoint to his sympathetic, melancholy theme for Christiane, always matched with Franju’s Cocteau-like eye for painterly cinematographic beauty, to create a deliriously schizophrenic mix which flags up many of the dualities at play in the film. Secondly, and many years later, there is Jacob’s Ladder (1990), Adrian Lyne’s dizzyingly frightening thriller, the mood being set with Jarre’s extraordinarily creepy dissonant accompaniments, a maelstrom of Vangelis-like synths, tender piano solos and hellish choirs. Not a CD to get out for a dinner party.